Interviewing can be an intimidating experience that renders many job seekers tongue-tied. However, new research shows that applicants who make small talk or find a commonality with the interviewer during the first few minutes of the meeting are more successful than those who don’t. 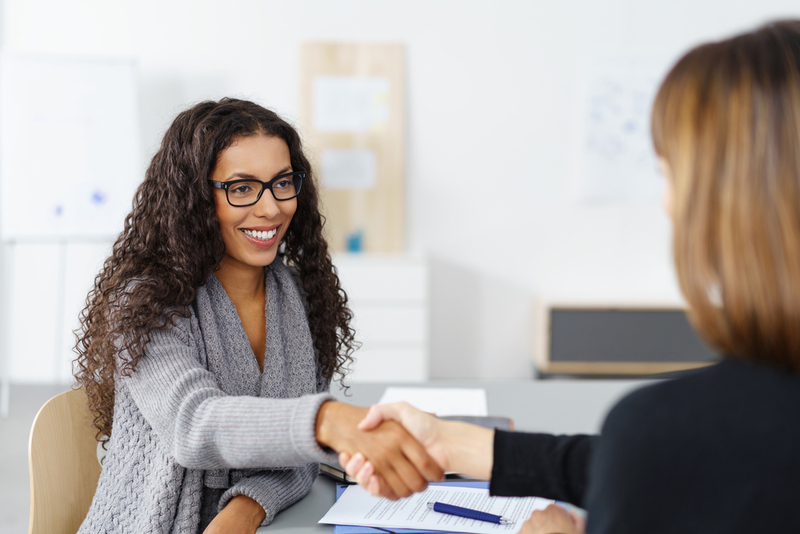 The researchers conducted 163 mock interviews and rated the candidates on how well they did in two areas: building rapport during the initial three minutes of conversation, and their responses to 12 questions about the job. The results showed that those who had initially built a degree of trust with the interviewer scored higher overall than those who had answered the questions equally well but had not created that initial rapport. The researchers concluded that candidates should find common ground with an interviewer as soon as possible: The moments between the initial handshake and the beginning of the interview can be the sweet spot during which that rapport is established. But how to do this if you’re not a natural? One of the ways job seekers can work on this skill is to practice outside of interviews, says the study’s lead researcher. Chatting with a barista while ordering coffee or a sales clerk when shopping are great ways to learn how to build a connection quickly. Another way to prepare for those initial moments when achieving rapport is so important is to conduct research about the organization or interviewer and ask a question that gets things rolling immediately. What are some topics you can bring up to start an informal conversation prior to the beginning of a formal interview? How do you think the ability to chat informally can positively affect not just your performance in interviews, but your career? Why do you think some firms help their employees learn to build rapport by having them work with comedians? This entry was posted in 3. News You Can Use and tagged Building rapport in interview, interviewig, interviewing, interviewing tips on February 28, 2017 by bizcombuzz.